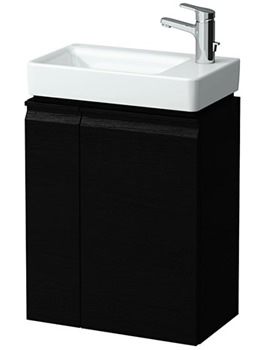 Impart a fascinating look to your bathroom with the installation of Laufen Pro Vanity Unit. Made from MDF board with PVC foil, this solid creation will last for many years. 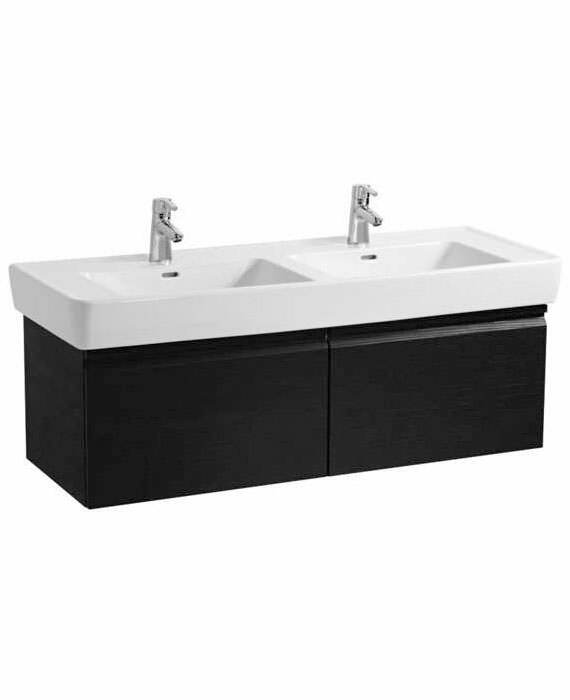 This wall mounted fixture incorporates two spacious drawers that offer abundant storage space for your bathing requisites. 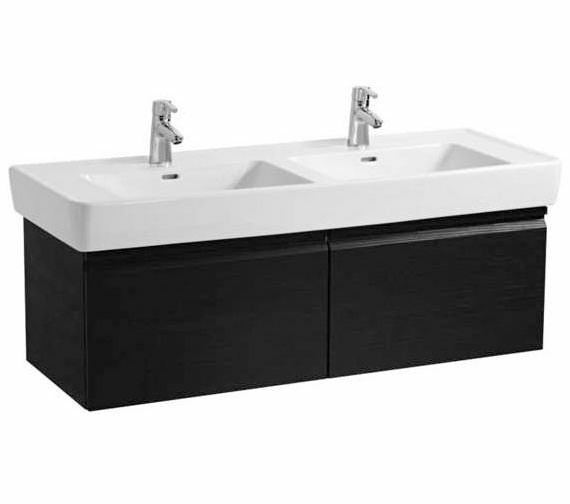 It carries spectacular Wenge finish which complements both classic and contemporary bathroom settings. Inclusive space-saving siphon and front handles make it user-friendly. The manufacturer covers it with a 2-year guarantee. 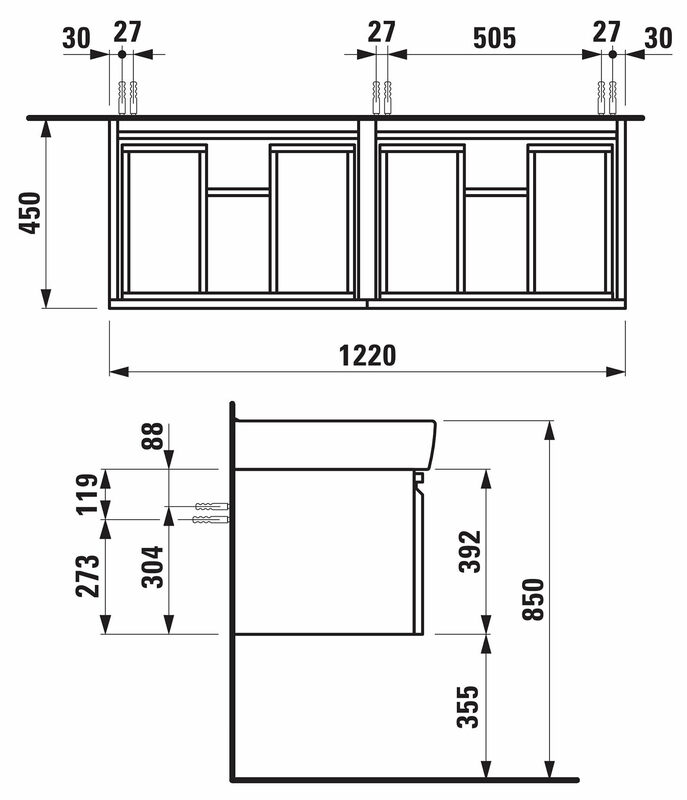 Note : The walls installed on must meet the requirements of the furniture in terms of weight and the supplied fastening elements. If this cannot be guaranteed another method of installation needs to be chosen. For example with feet. 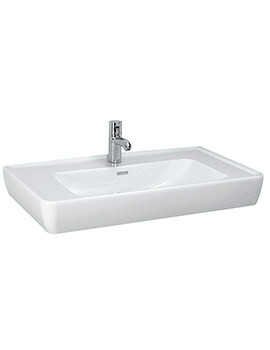 Laufen Pro A Double washbasin made from ceramic and carry a 5 year of guarantee from Laufen. Please Note - Image shown is for illustration purpose only. 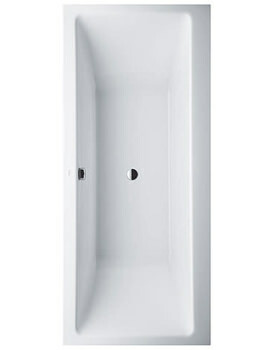 Laufen Pro Set Of 2 Feet. Aluminium, chrome surface. Please note: Image is for illustration purpose. 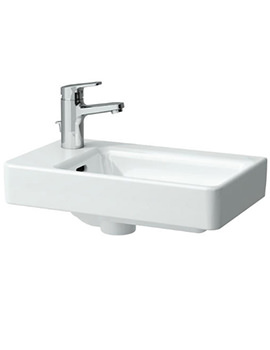 The Laufen Pro 1300 double sink comes with three options op 40056, op 40055, op40054 I gather these relate to tap holes. From the description on the website, I am unsure which one relates to having two taps (one per basin)? Thanks Andrew for your query, and bringing this to our attention. We have looked into this, and as per your query, you would require OP40056. We are also modifying the options to make it easier for selection. Hope this should help.